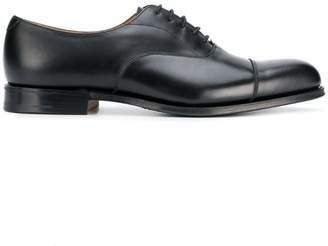 Church's 'Shannon' derby shoes are icons of classic English style. 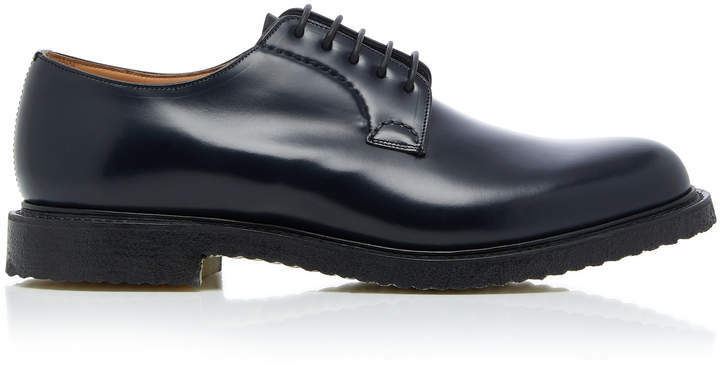 Made with uppers cut from single pieces of polished calfskin this pair has a clean look that is also durable thanks to its Goodyear-welted triple-leather soles. 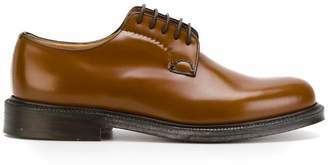 Consider wearing them with a sweater and tailored trousers.